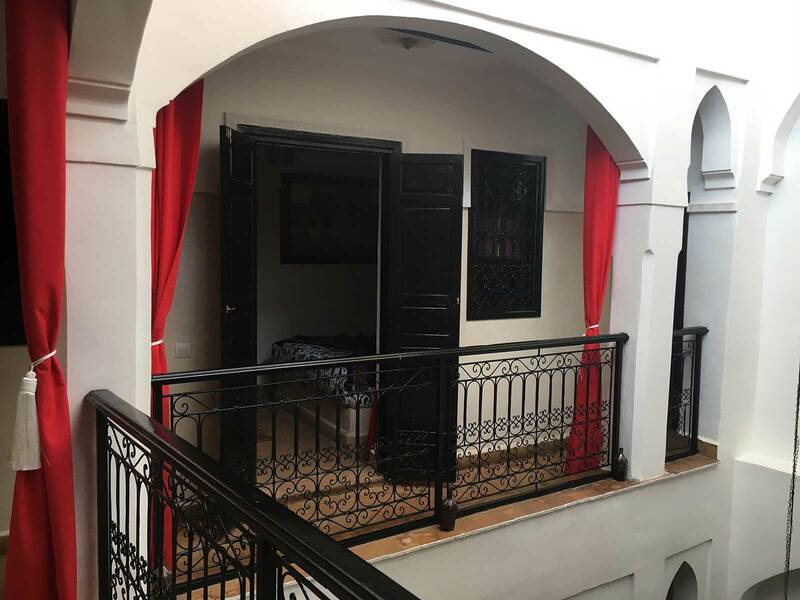 Riad M'Boja "Chez Ali Baba"
Composed of 6 rooms with bathroom en suite, spread over 2 floors, this historic house located in the heart of Marrakesh’s medina, only 15 minutes walk from Jemaa el Fna square. 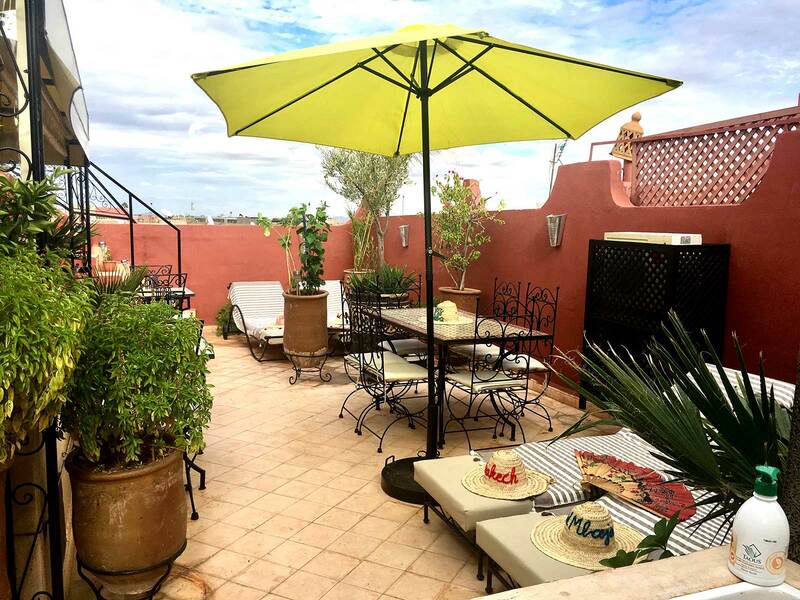 This traditional riad offers air-conditioned rooms and a rooftop terrace overviewing the entire medina of Marrakesh. 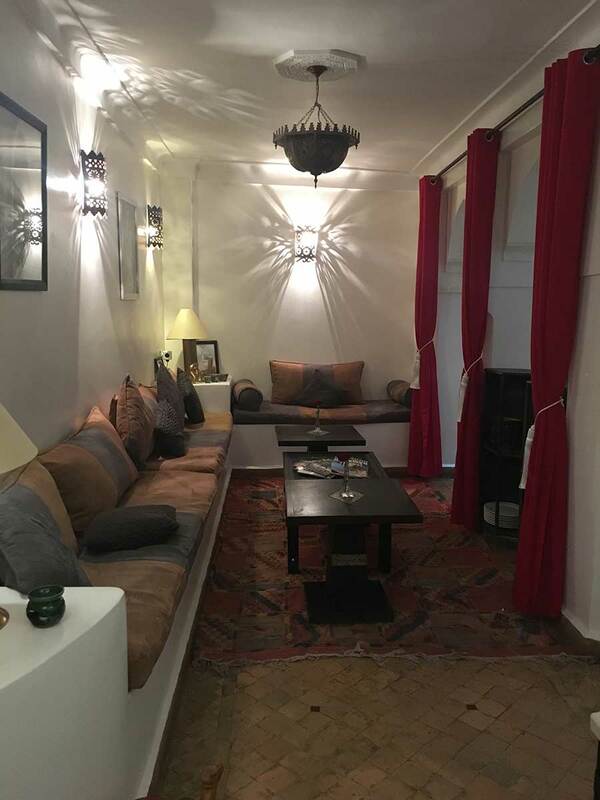 With free wi-fi, a large collection of books about Morocco, Marrakesh and especially about “Ali Baba”, the guest rooms at riad M’boja are colourful and decorated with traditional Moroccan furnishings. 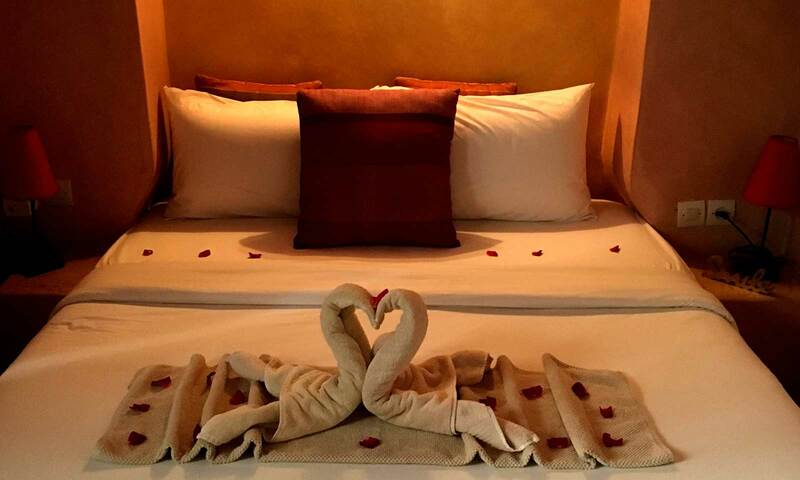 Each en suite bathroom features Tadelakt walls and is equipped with a hairdryer and free toiletries upon arrival. 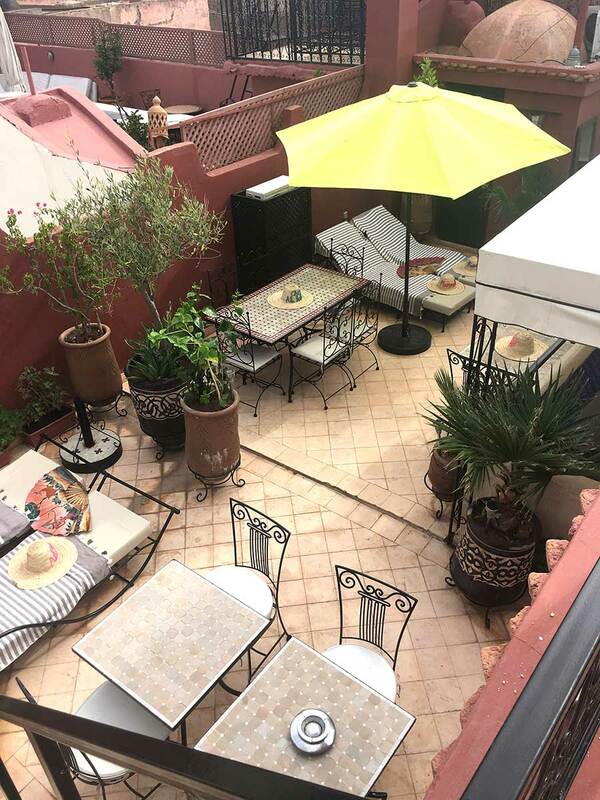 Breakfast is available daily from 8h00 in the riad and is served in the patio or on the rooftop depending on the weather-situation or on your own preference. 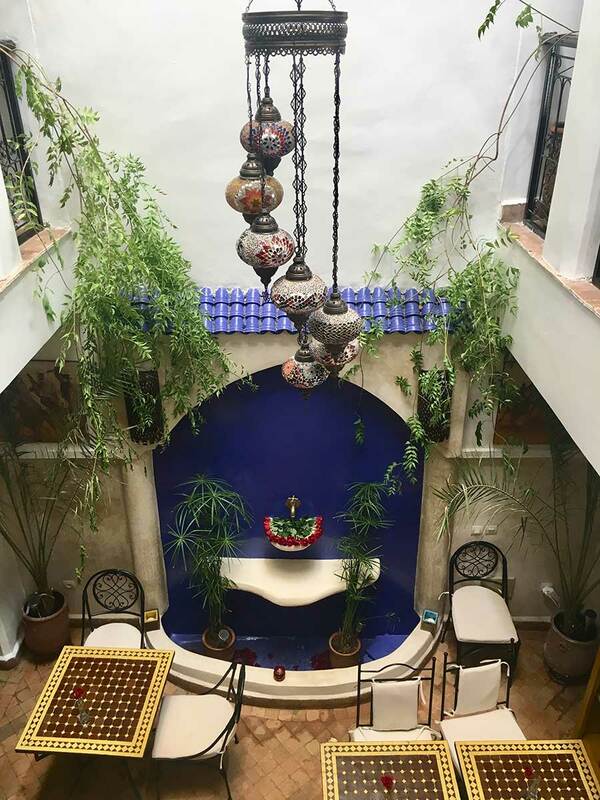 For lunch or dinner, guests are invited to reserve the evening before to taste a delicious traditional Moroccan cuisine concocted by our cook. 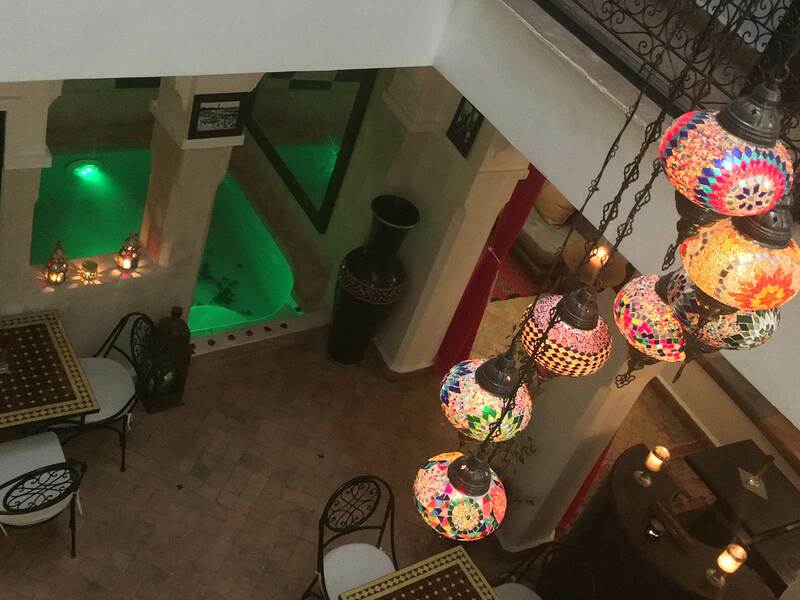 The riad is located in the centre of Bab Doukkala a few meters from the souk and 200 meters from the big gate of Bab Doukkala. 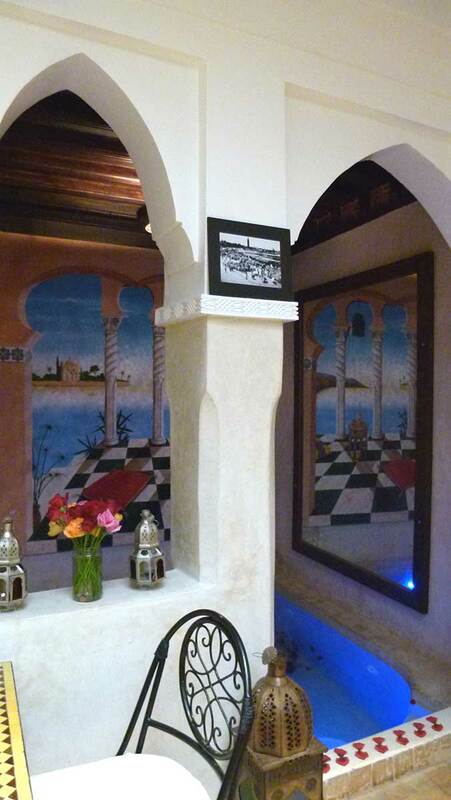 Guarded car-parks are near the riad and 15 minutes drive to the airport. 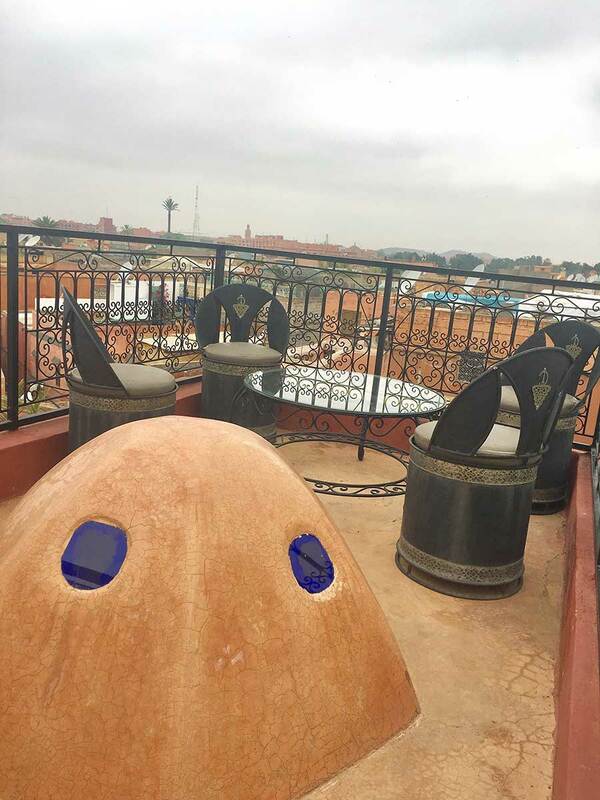 The beautiful terraces have a beautiful view on the biggest mosque the “Koutoubia” and the Atlas Mountains. 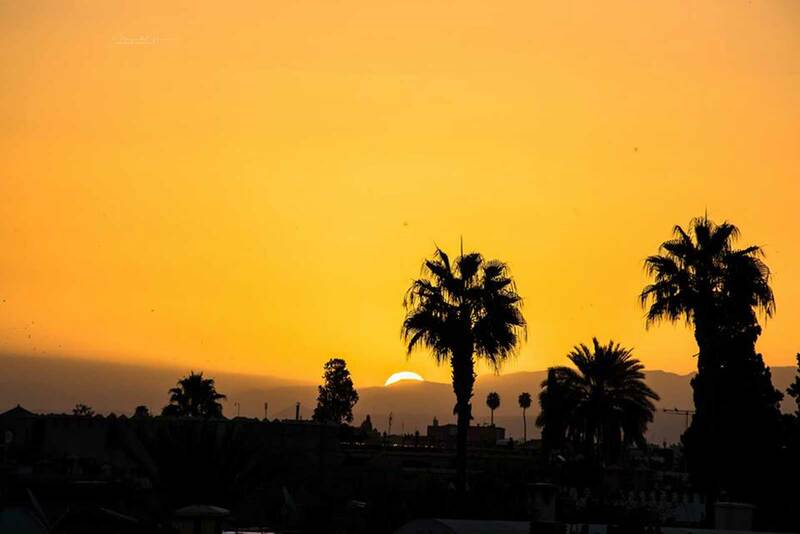 You can admire magnificent sunsets from our terraces. 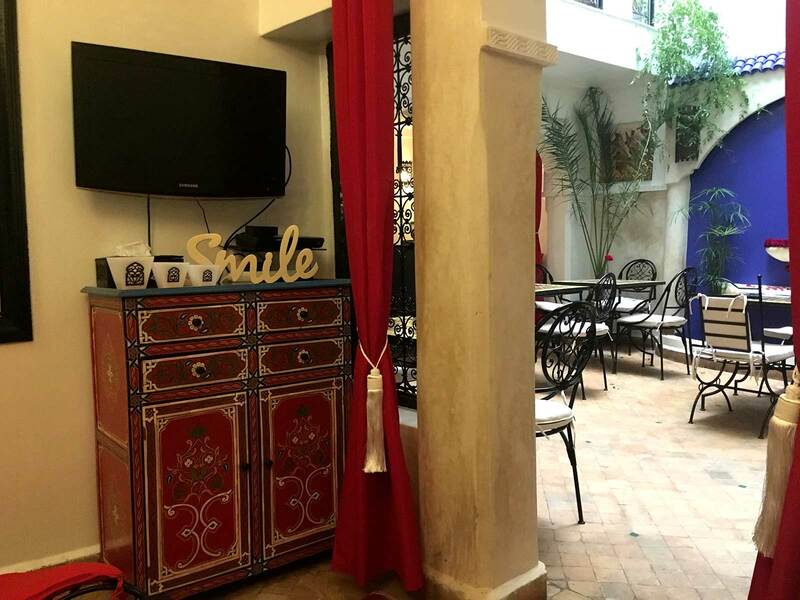 The medina is the best choice for travelers that want to experience the traditional way of Moroccan living, that are interested in markets, souks and shopping in general. The choice of food is also overwhelming. 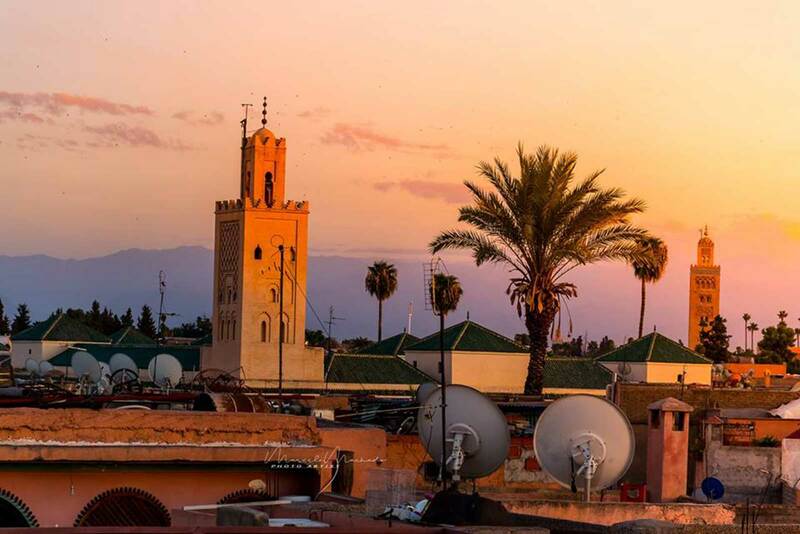 This is the travelers favourite part of Marrakesh, according to independent reviews. 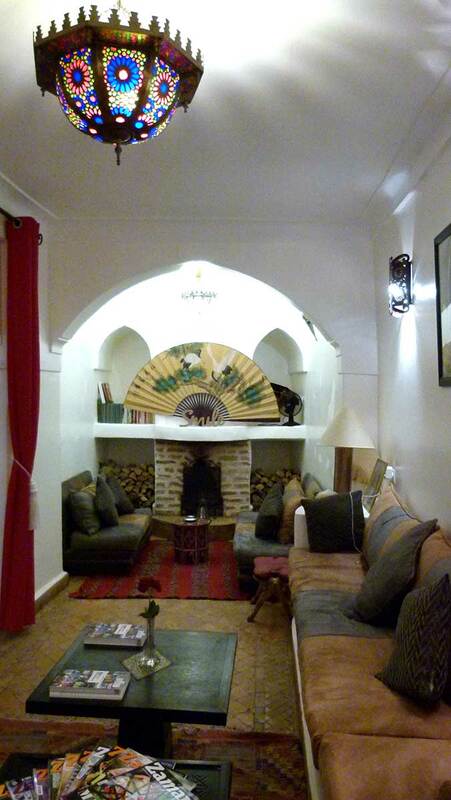 This riad also has one of the best rated locations in Marrakesh. 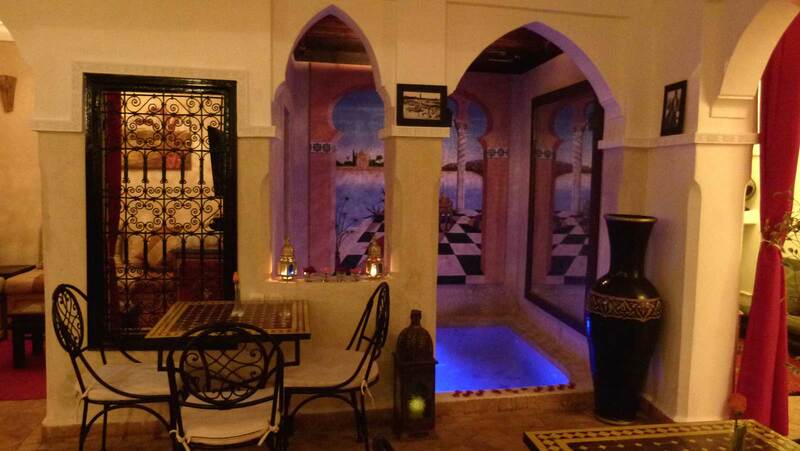 Guests prefer our riad compared to other riads/hotels in the area. 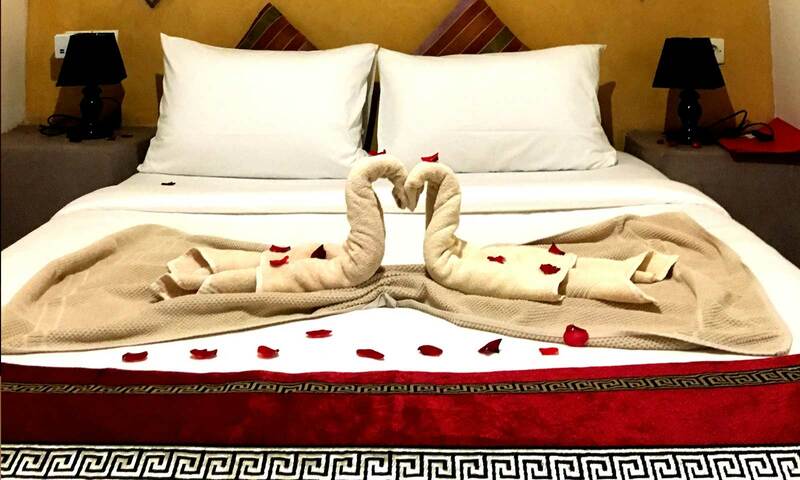 Couples particularly like the location – they ratedit 9.3 for a two-person trip. 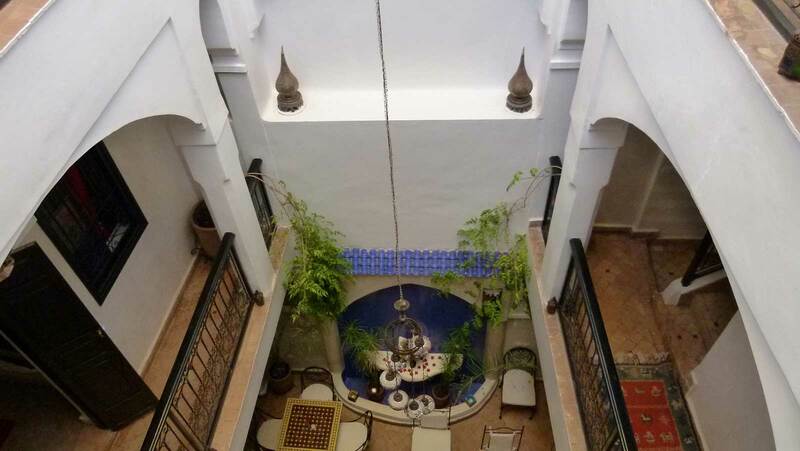 This property is also rated for the best value in Marrakesh. 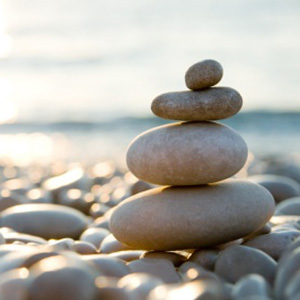 We speak French, English, German and Dutch and do our best in Italian and Spanish ! The Hosts were very friendly and helpful. Ferdi helped us navigate and suggested what to see in the city. Clothes washing was also offered at the property. 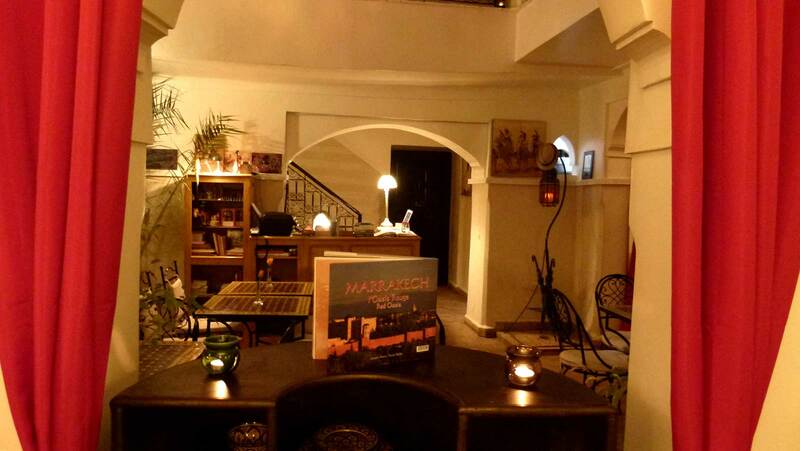 The friendly atmosphere and the welcome of all staff!!! 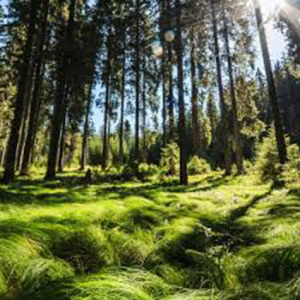 EXCELENT! 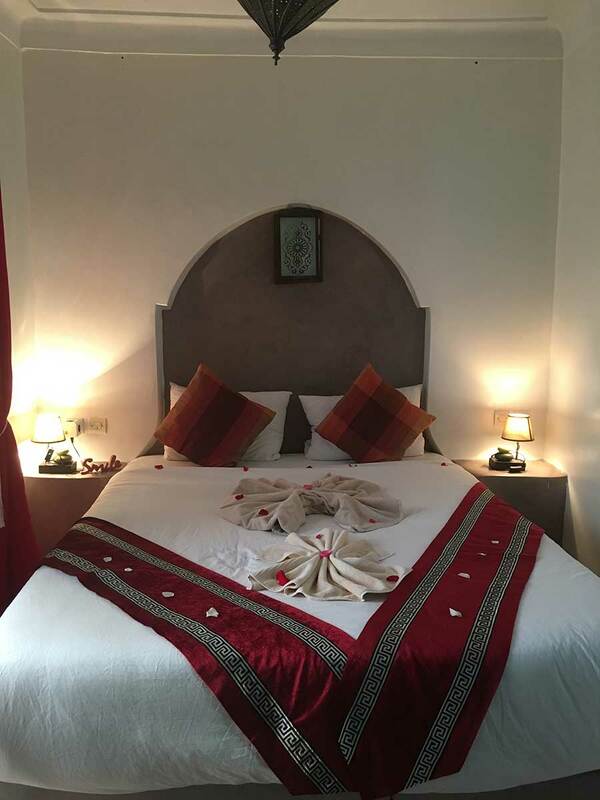 Staff were very friendly, helpful and accommodating. 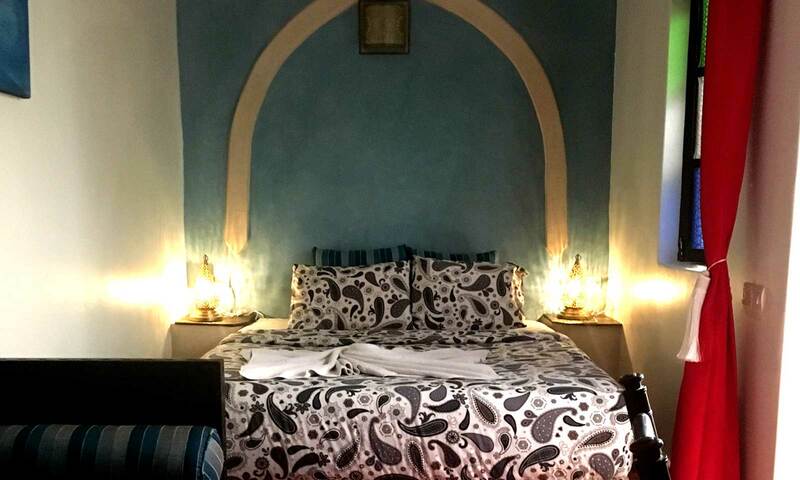 The room was comfortable and nicely decorated. Good breakfast and value for money. 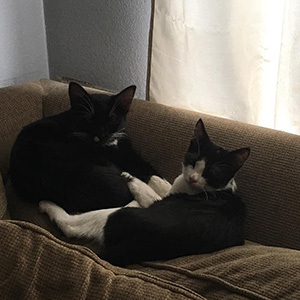 We were able to communicate with the manager very effectively which made the trip much smoother.